Do you want the quickest and easiest way to build your own levitator? LNS Technologies offers an inexpensive anti-gravity levitator kit with all the parts and excellent instructions. LNS Technologies updated the design from the 1996 Electronics Now article. They now offer a lower price and easier assembly, while using the same low-power circuit with its smooth and reliable operation and overheating protection. 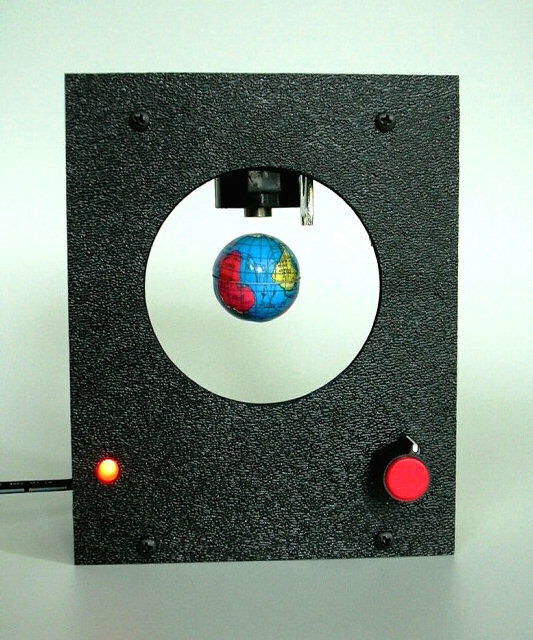 You can buy this complete levitation kit from LNS Technologies at www.techkits.com. At the time of writing, the price was $49 US. They also offer a variety of other interesting kits on their web site. I recommend this kit to anyone that wants a small and reliable levitator!